Verena Tunnicliffe is a marine biologist at University of Victoria in Canada where she holds a Canada Research Chair in Deep Ocean Research. She combines a drive for ocean exploration with a passion to understand the nature and functions of novel communities. A lifetime of ocean exploration has stretched from coral reefs to subsea volcanoes making hundreds of dives with SCUBA and, then, both manned and remotely operated submersibles. She has led and worked in interdisciplinary teams exploring hydrothermal systems around the Pacific and especially on Juan de Fuca Ridge where her research helped establish Canada’s first MPA, the Endeavour Hot Vents Marine Protected Area. Her research in marine habitats in extreme conditions has collected over 80 new species (with nine named after her). 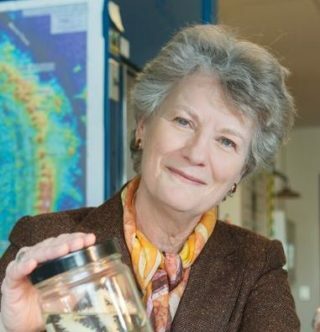 She has worked with the NOAA Earth-Ocean Interactions Program and the Ocean Exploration Program to contribute to the rationale for the establishment of the Mariana Trench Marine National Monument. For a decade, she helped to make the “Ocean On-line” a reality as Director of the subsea observatory, VENUS, in British Columbia. A long-term program examines the impact of climate change on coastal communities. Through both at-sea and virtual exploration, she has encouraged novel technological developments, especially in Canadian industry. She seeks new techniques to bring a greater depth of understanding of the ocean world to research, education and the public. Current research focusses on deep ocean conservation, including environmental management around deep-sea mining.